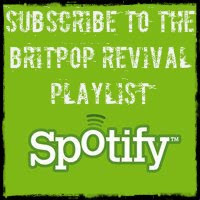 It is surely one of the most iconic Britpop images (we use it on this page! 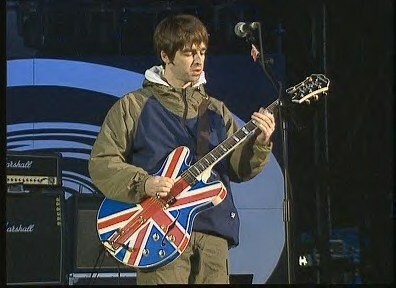 ), the famous Union Jack guitar that Noel Gallagher debuted at Oasis' Maine Road concert on 27th April 1996. 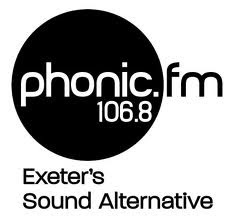 It's an Epiphone Sheraton, a gift from Meg Matthews and given that famous custom paint job. It created an instant impact and it wasn't long before Epiphone brought out the Noel Gallagher signature model, the Supernova. Although this was also available in the familiar Union Jack design, it is a different guitar and was not played live by Noel. If you're interested in Noel's guitars and gear there is an excellent page here.